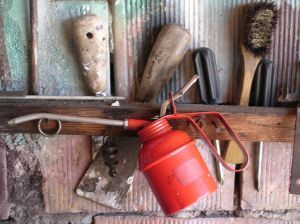 What’s In Your Virtual Worker’s Toolkit? Everyone has their favorite software and applications to get their work done better, faster, smarter. I have my own such as Glasscubes to keep correspondence and files in one place when working with my team. Or Penultimate (to handwrite notes and sketches on my iPad and email the PDFs), Dropbox to store and share big files and Picnik to quickly size and crop photos for my blogs and Web-based projects. Over at Web Worker Daily, I compiled a list of 25 Apps for the Virtual Worker’s Toolkit, covering categories including Document Collaboration and Workspaces; Project, Task and People Management; and Desktop Sharing, Presentation and Meeting Tools. Previous postIs Virtual Work for You?